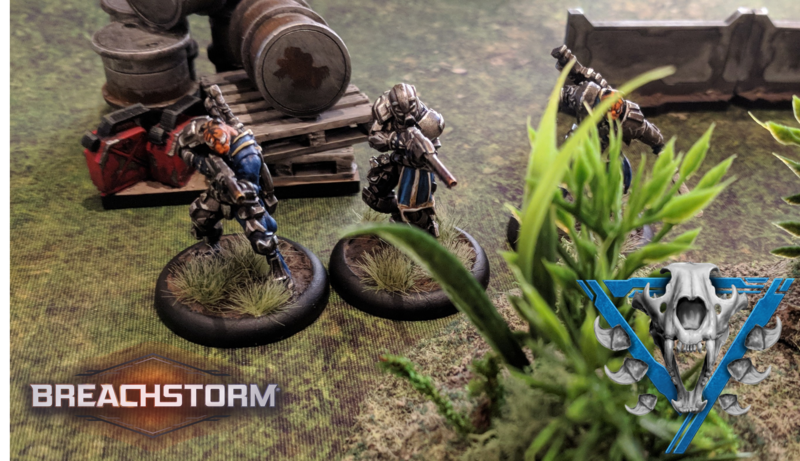 In Breachstorm players command elite teams of special operatives as they race to complete asymmetric objectives. 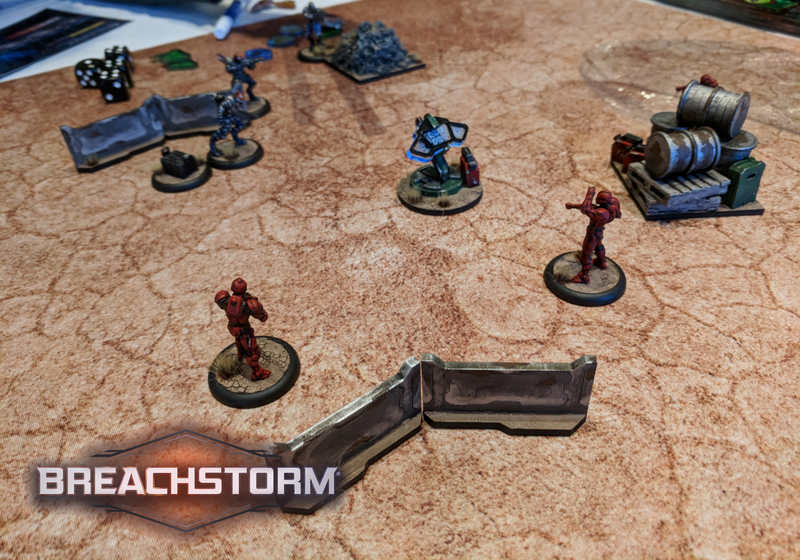 A combination of powerful upgrade cards, impactful player-placed terrain and objectives chosen during list construction make every aspect of the game a crucial part of the strategy… before models even hit the table! The game plays on a 36″x 36″ table and is designed both to play quickly and be easy to learn; games typically play out in 60 minutes. The Factions – Choose Your Allegiance! 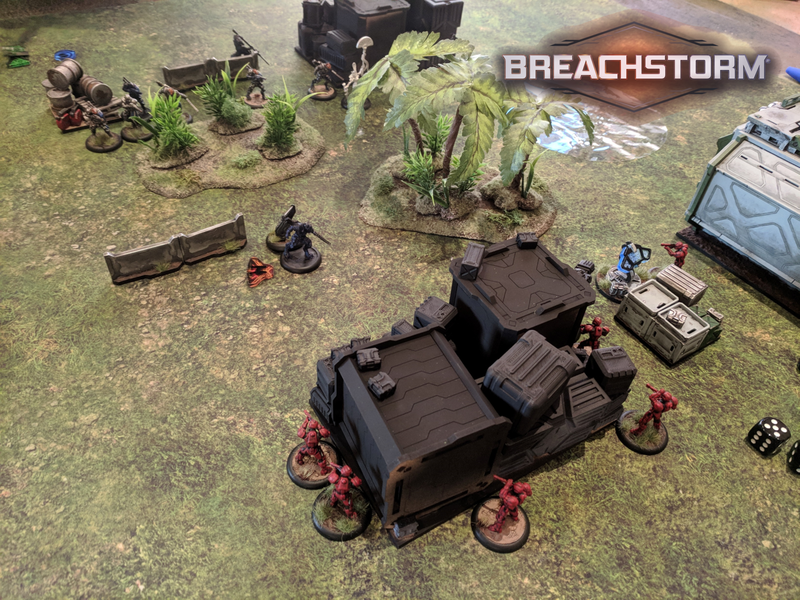 At its release Breachstorm will have two available factions, each with a wealth of trooper and officer options for near-limitless team combinations – the Homeworld Confederacy and Zhren’thrar Prides. 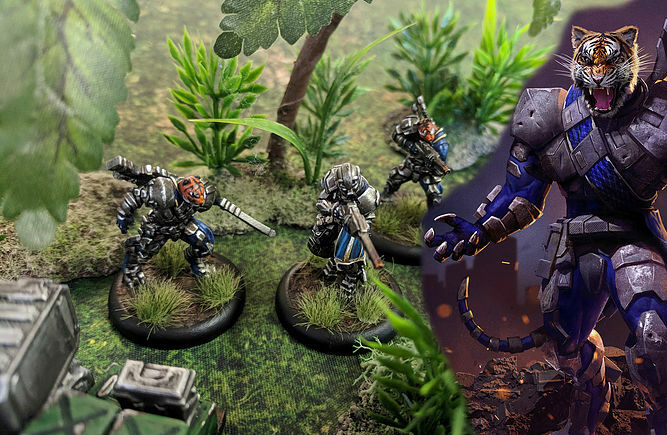 Two more factions – the numerous Volucrid Host and stealthy Ativari Conclave will be stretch goals for the campaign and become available if it achieves its funding goals. The Zhren’thrar Prides are a proud warrior race of felinoid aliens specializing in close-quarters combat. 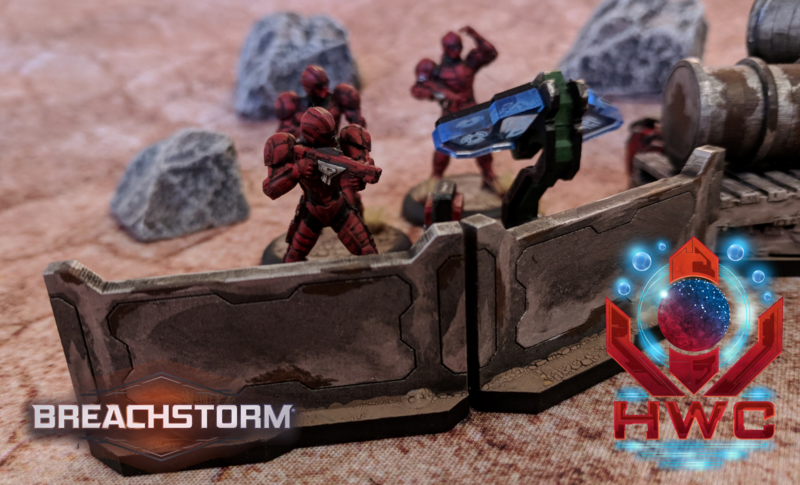 They use powerful plasma weaponry to pin down their enemies on their approach, gaining inspiration by generating Fury tokens as their allies achieve a glorious death in battle. This faction can create powerful combos to move Fury tokens to their most powerful warriors, or simply flood the field with a bevy of cheap troops. In stark contrast to the aggression of the Prides, the Homeworld Confederacy brings to bear the finest military technology humanity has to offer, including heavily armed, elite infantry. These trained soldiers are well-equipped and work together flawlessly as a team, supporting each other with their attacks and powerful special abilities. Confederate M-TAC teams can be formulated to tear to shreds any enemy caught in its crosshairs, or even operate as a mobile assault force. 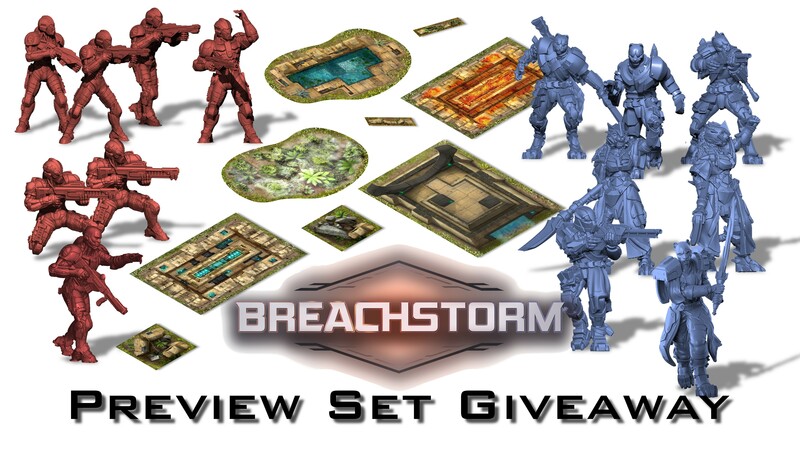 You can even enter to win a free preview copy of the Breachstorm core set today! Check out the link here to learn how to enter! 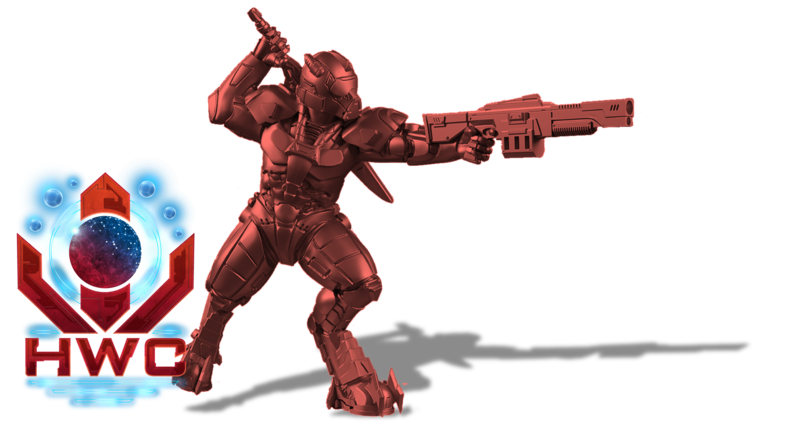 The game uses pre-colored, highly-detailed resin miniatures that will be available from core sets featuring full-size, premade teams, or individually from reinforcement and expansion packs. 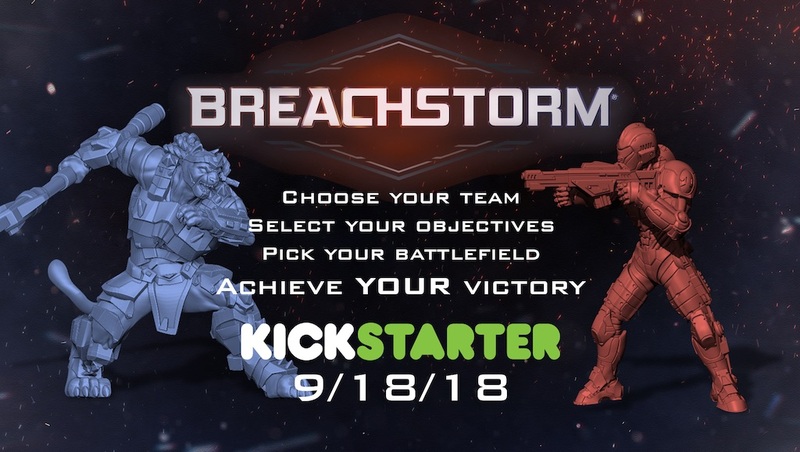 Remember to head over to www.breachstorm.com to learn more about the game, and check out the Kickstarter when it launches on 9/18/18!